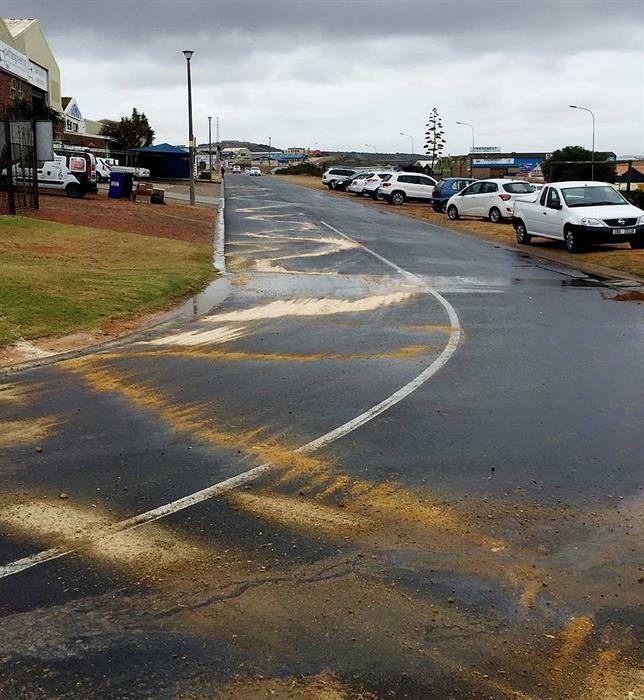 Before: Diesel that was spilled on the road surface in Voorbaai. 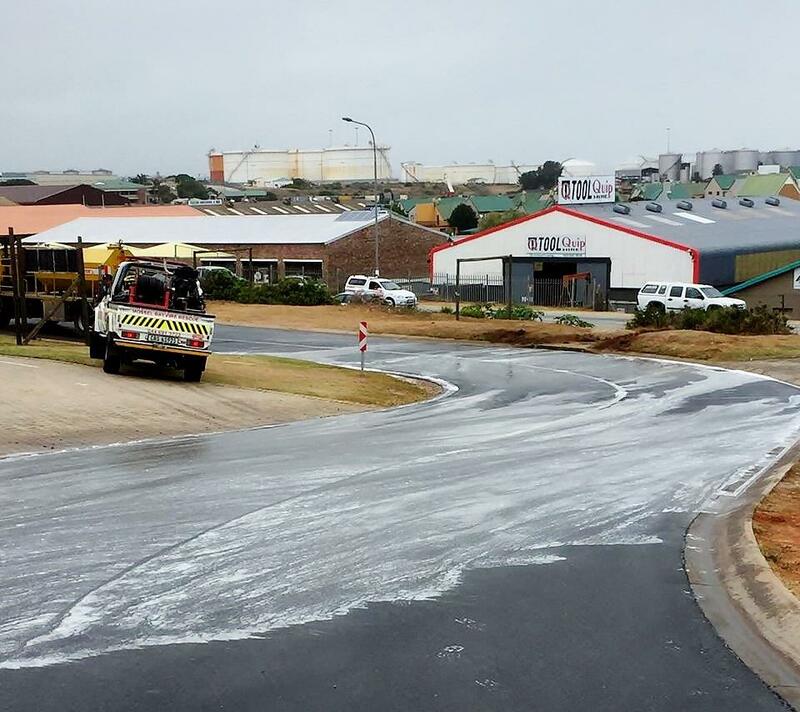 MOSSEL BAY NEWS - A diesel spill behind Ougat Meubels in Voorbaai on Wednesday morning was very quickly cleaned thanks to assistance by the Mossel Bay Fire and Disaster Management team. A foamy appearance visible as part of the clean-up is the biodegradable agent used to break down the diesel. The biodegradable agent was left on a section of the road to absorb any diesel that may have soaked into the road surface. The cause of the spill is not yet known. After: The white foam is indicative of a biodegradable agent that was used to absorb any diesel that may have soaked onto the road surface.